Everything we do revolves around our steadfast commitment to exceptional education and student success. A key part of that commitment is ensuring our students are living healthy, active, and productive lives. Our support staff’s role in assisting in the development of the whole child is greatly valued. That’s why we need your compassion and talents at Boulder Valley School District. To honor our commitment to exceptional education, we work hard to make sure district operations run smoothly. We need the following talented individuals to support our students and educators in this effort. We want to work with the best. If any of the following describes you, you would make a great fit at BVSD. You understand the value of exceptional education for your community. Collaboration is important to you. You enjoy working alongside your fellow team members. You bring a strong work ethic and dedication to your position. You are a compassionate individual who cares deeply for others. Positivity is your strength. You often embrace challenges with a smile. As you work hard for our district, we want to make sure you have all the tools you need to be the best that you can be. That’s why we offer professional learning opportunities for our support staff. Let’s work together to educate and support young minds. Search our jobs today and enjoy an innovative approach to your career. Summer Maintenance WorkerBVSD Education Center6500 Arapahoe Rd. Food Service Assistant INederland Elementary School#1 N. Sundown Trail. 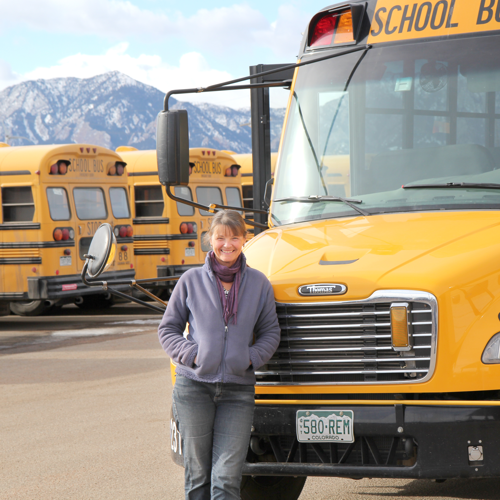 Community School Program, Facility Use Building MonitorBVSD Education Center6500 Arapahoe Rd. Early Connections Infant/Toddler SupervisorBVSD Education Center6500 Arapahoe Rd. Assistant Coach/Activity SponsorBVSD Education Center6500 Arapahoe Rd. Office Professional-Office Assistant IIIBVSD Education Center6500 Arapahoe Rd. Activity Sponsor Head Cheer CoachBoulder High School1604 Arapahoe Ave.
Event/Game WorkerBVSD Education Center6500 Arapahoe Rd.